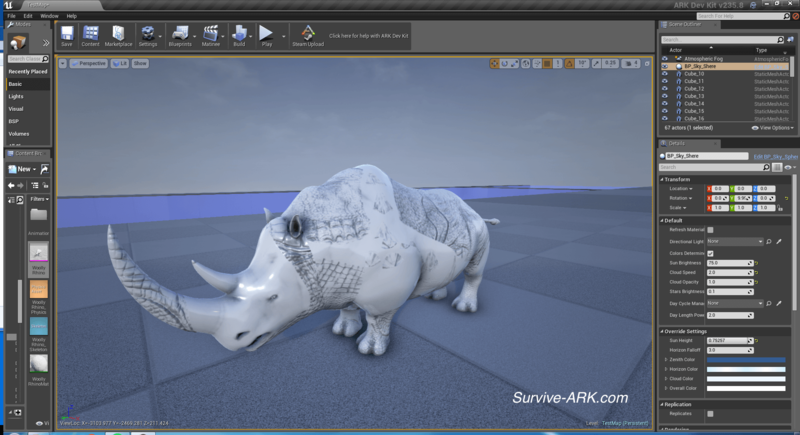 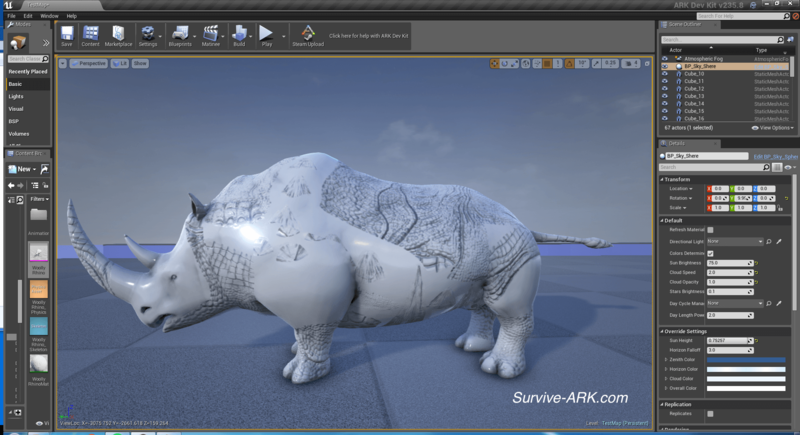 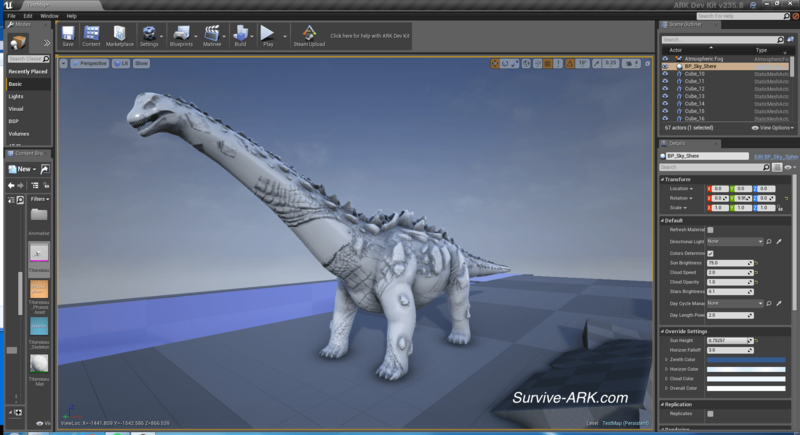 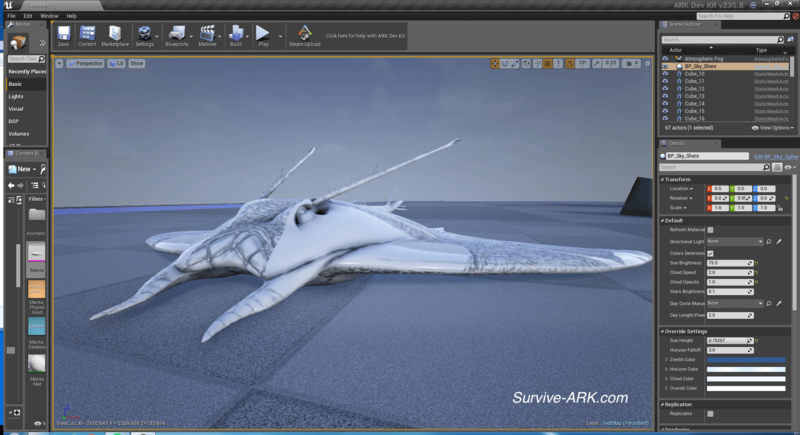 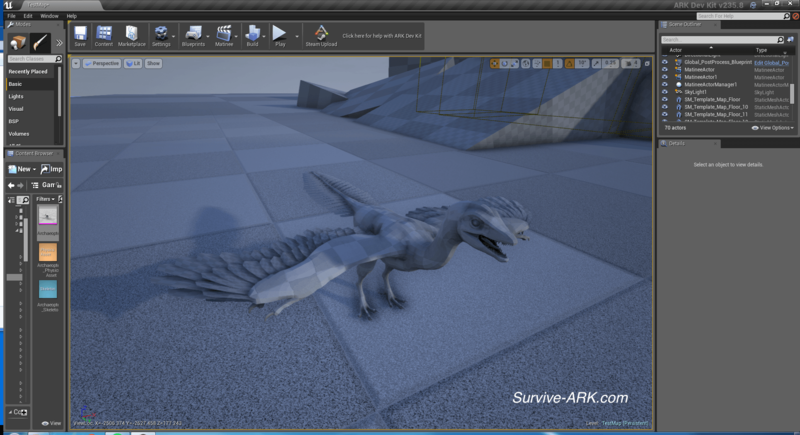 Devkit preview: Titanosaur, Archaeopteryx, Woolly Rhino and more! 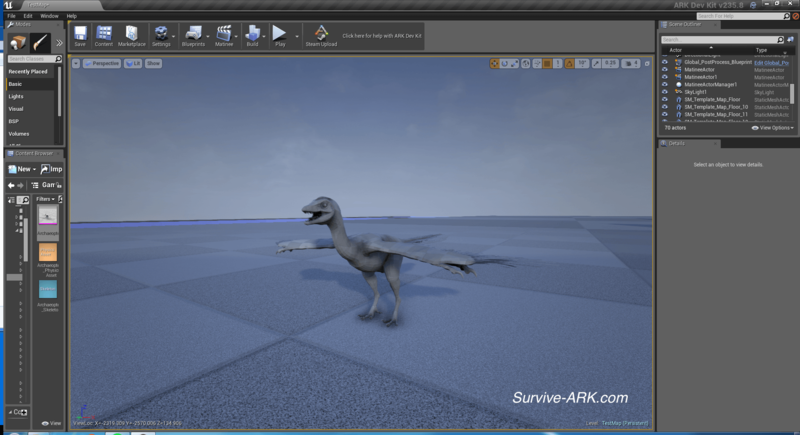 A new devkit version was released today, which brings a lot of new creature previews with it. 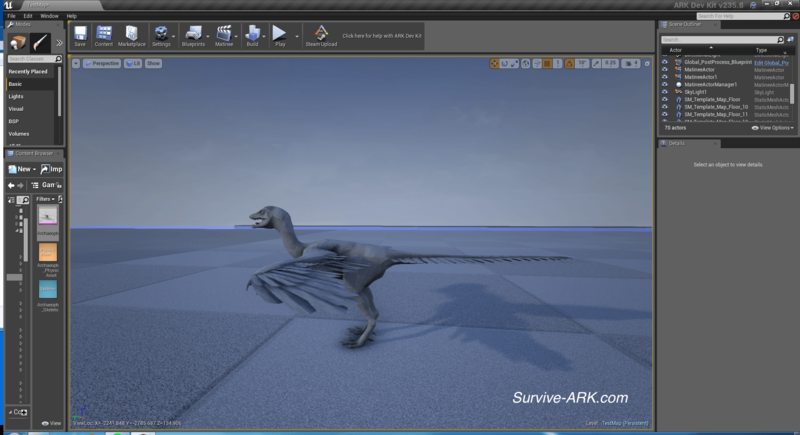 For now it are mostly models, but it at least gives an indication which creatures are currently worked on. 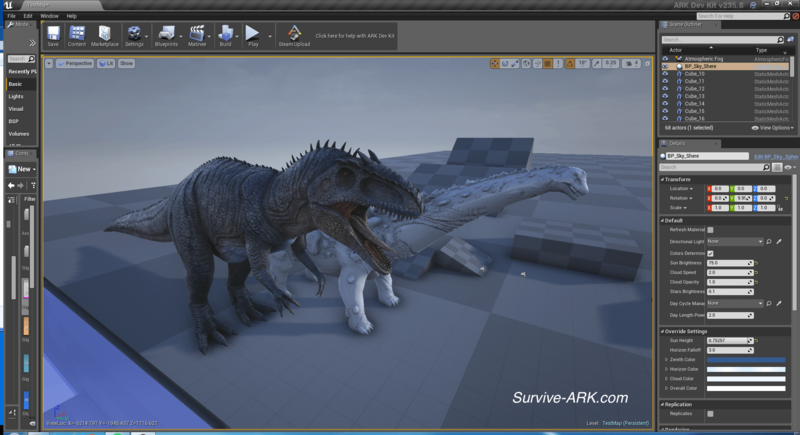 Some of these have been announced a long time ago, for instance the Manta, but the dossier of the Titanosaur has only been recently released and also available in the devkit. 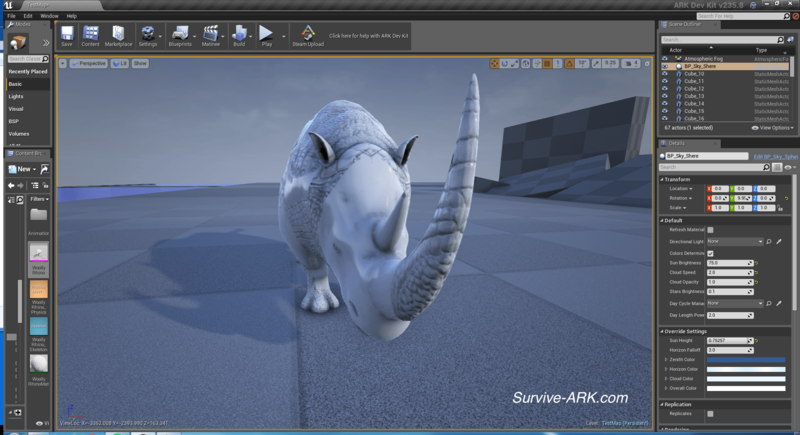 Unfortunately we cannot predict which of them will be released the first, but we can give you some previews on how they look already! 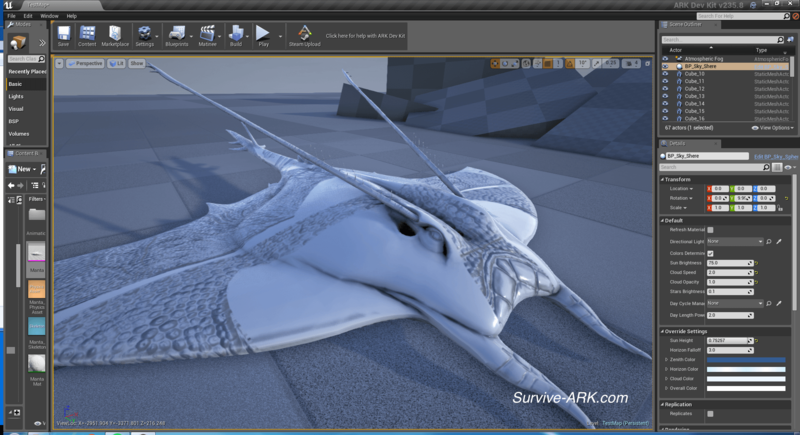 Keep in mind that they are currently only modeled, so the texture will not be that beautiful yet. 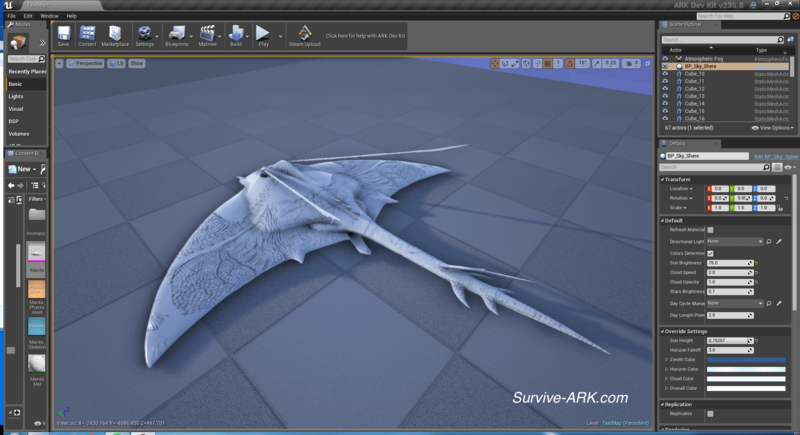 Another thing to keep in mind: the devkit models are not always to scale. 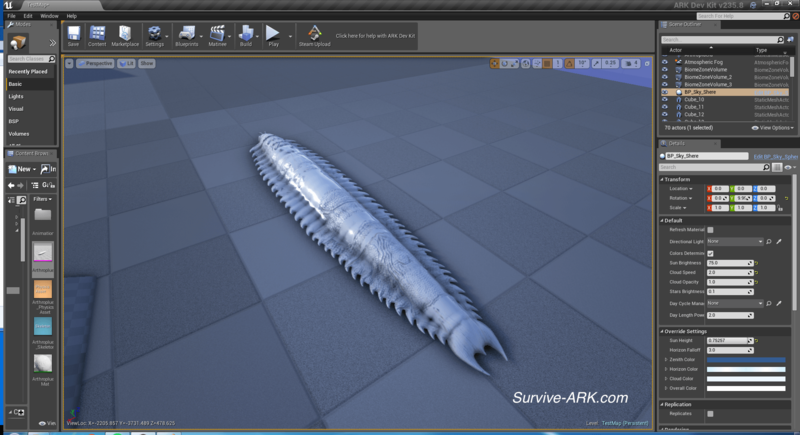 This means that the actual creature might be bigger / smaller when it is released in the game. 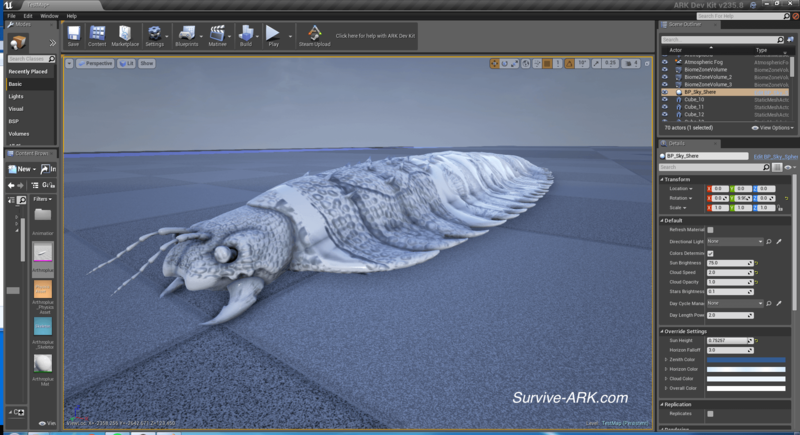 Don’t forget to check out the colored Direbear (including fur), Eel and Eurypterid! 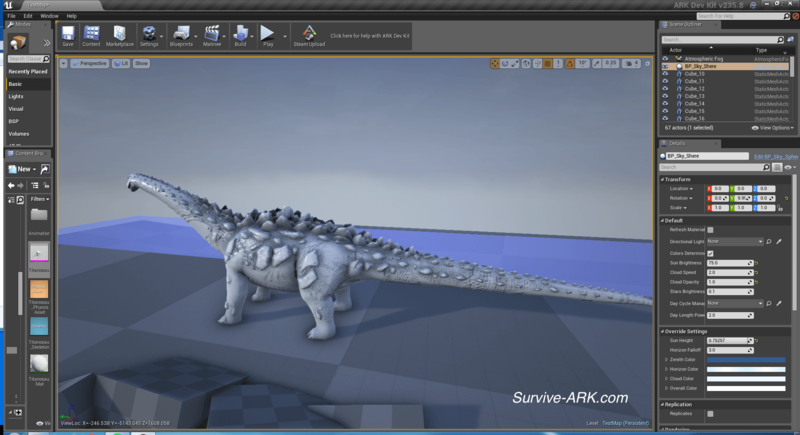 Do keep in mind that devkit sizes don’t always represent the actual size of the creature as it will be in-game! 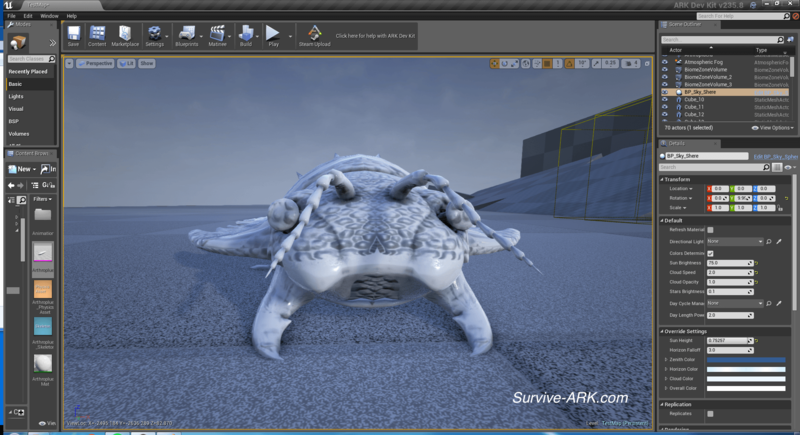 Next Post: Devkit preview: Colored Direbear, Eel and more! 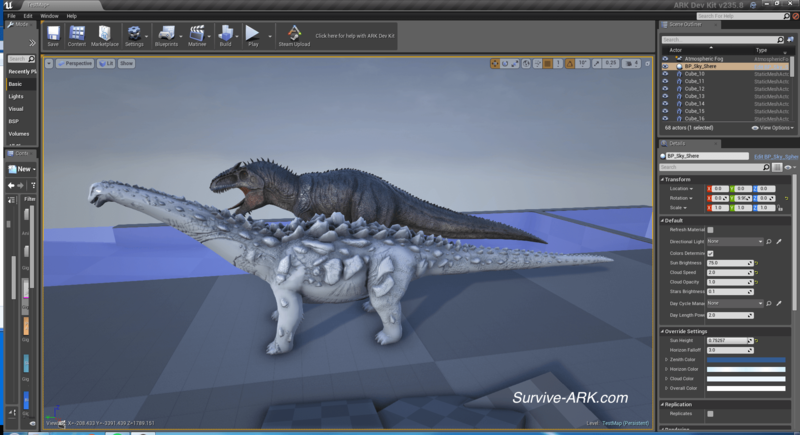 Titanosaur needs to be bigger..